To make Independent Work Time successful, you need to put energy into planning, teaching, and assessing, just as you do with all other instructional practice. You need to plan the purpose, the activities, and the materials (the centers) in your room. You need to teach children what it looks like, sounds like, and feels like during Independent Work Time, including teaching them the procedures and responsibilities that go along with working independently, and how to solve problems independently. This also connects to the “I Do, We Do, You Do” of the gradual release of responsibility model of teaching and learning that is a cornerstone of effective pedagogy. Finally, you need to assess. After you launch a center, you need to step back, reflect, and assess. How are the children doing? Where are they finding success? What do we need to revisit to make it go even more smoothly? How are the children learning how to self-assess and set goals themselves? Then you need to start the cycle all over again: plan more lessons to build children’s stamina, introduce new centers and/or activities, and add other responsibilities. The cyclical process of planning, implementing, reflecting, and revising allows you to make strategic and thoughtful decisions and to be proactive instead of reactive to any problems that occur. It also allows you to explicitly model tasks and expected behaviors and gives children the repeated practice they need to be successful. To determine the purpose, you have to know your class. What should they be doing independently? What is right for their age and stage of development? What have you taught them recently that they are ready to do? When designing tasks, consider what level of reading and writing your children can do without you beside them. What activities have you done together as a whole group or in small groups that children can now manage on their own? What kinds of support (in the way of familiar materials) can you place at a station to help them be successful? How can you support language development in meaningful and engaging contexts (not only skill building)? Consider changing the content of the activity, not the activity itself. The content of the activity should be based on what the children have recently learned or are currently working on (as a whole class AND in their small groups). 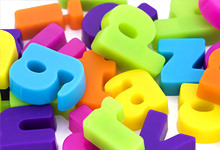 For example, word sorting may be a standard activity at your ABC/Word Study center. This activity does not change. However, the words that the children sort do change on a regular basis, depending on the spelling patterns, for example, that you have taught. 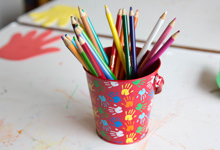 This structure also allows you to differentiate; you can ask certain children to start with one set of standard activities (such as sorting) while other children can complete other activities (such as rainbow writing). Materials should be authentic. Books, real life props, and writing tools mirror real life experiences and help strengthen children’s vocabulary. A science center, for example, can provide opportunities to introduce words such as magnet, attract, repel, float, sink, balance, seed, germinate, roots, dissolve, absorb, melt, and evaporate, along with names of plants, animals, rocks, seashells, and other natural objects. Use a variety of assessment strategies including work products, observations, checklists, and rubrics. Think about what children will need to know to be successful at each center. Make sure your procedures are specific and consistent so children know what to expect and what to do. The lesson planning template is your partner in planning for successful centers. The template is equipped with helpful questions that focus your attention and support your thinking through the planning for each center. If you need more support, take a look at our “notes” version of the template. Use the sample lesson plans for ideas and feel free to adapt them to use in your own classroom. The lesson planning template is your partner in planning a successful center or work station. The template is equipped with helpful prompts that focus your attention and support your thinking through the planning of each center component. If you need more support, take a look at our “notes” version of the template. How will my children mostly be working: alone, in pairs, or in groups? This will help you determine if you have enough stations and what kind of work will be happening at the stations. Think about what kind of grouping will allow children to be successful with the activities during stations. If children are working in groups, how many should be in a group? There might be an optimal number of children in a group based on materials, space, or behavior expectations. For example, if you have a small writing table you might want only three to four children at that station. What is the purpose of the stations I have created? What kinds of peer support might my children need? You might have a variety of activities, some that are designed for peers that are at the same reading level and others that are open-ended. These questions will help you get a sense of your needs. 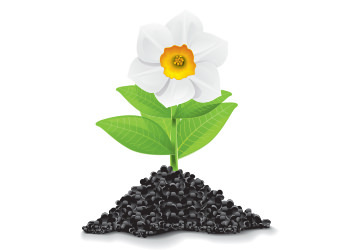 Then decide which of the following two kinds of groupings will serve your children best. Homogeneous Grouping- You might group children that are reading at a similar level together because they need practice with the same skill or activity. Heterogeneous Grouping - Create groups of children at varying reading levels. This gives children the opportunity to help each other and builds positive relationships. When children at varying levels work together, it enhances their self-esteem as they promote and support each other’s success. Making the decision about how to group your children should not be taken lightly. Another helpful recommendation from Debbie Diller is to vary the pairings (groupings) over time to help keep children engaged in stations. You might also make changes to the groupings based on how the activities evolve over the year and how your children’s reading levels change. Whatever way you choose, make sure that it supports the end goal of your activities. Launching centers is a big part of setting up the foundation for independence, responsibility, and stamina. If ever there was a time to “go slow to speed up” in your classroom, this is it! In fact, Jan Richardson in The Next Step in Guided Reading suggests taking approximately six weeks to launch stations. Spending time modeling and offering guided practice will ensure that children understand what is expected of them and have the necessary information they need to work independently. Begin introducing literacy stations by modeling and using guided practice with one station. Be explicit in teaching the procedures associated with the station. Give all the children in your class a chance to practice what you taught. Observe and assess how the children are doing. When you feel satisfied with their engagement and understanding, introduce a new station. Continue with this process until you have introduced all of your stations, knowing that this process will take several weeks. Once you have introduced all of your stations and children are working independently, one way to continue to reinforce the learning is to hold a “check in” before and after stations to touch base with your children, review tasks, address classroom culture, and revisit procedures. When you gather everyone at your whole group meeting area, you can set the tone for station time by creating a calm and working atmosphere. After stations, consider regrouping at the whole group area to debrief. The most effective and productive literacy centers are those that are both simple and offer children the opportunity to make choices within the center. Of course, there will be times when you request that children work on certain tasks or at certain centers based on your assessment of their needs. 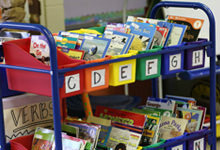 However, basic literacy centers such as the library center, the writing center, and the listening center are ripe with opportunities for engaging children at multiple proficiency levels in authentic and meaningful literacy tasks. These centers do not require teachers to change activities weekly, make games, or build elaborate displays. Choice gives children a sense of control and promotes motivation, which in turn leads to higher levels of child engagement. Choice also allows each child to work on tasks at their level of proficiency. Introduce the children to center options one at time following the procedural lesson template. Gradually build a menu of center options over time. The menu of options can be shared with children in several ways. 1. The menu of options can be posted on a chart near the center. 2. A selection of task cards can be housed in each center. 3. Children can have their own copy of the literacy center menu where they can keep track of their choices. 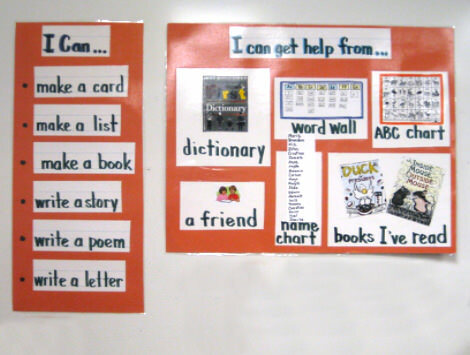 Literacy center menus can be differentiated. Read a book with a buddy. Read along silently with the recording. Write and illustrate a book. Make and illustrate a word family book. Practice reading the poem aloud. Write a response to your book. Complete a story map for the book. Write a letter to a friend. Do a word sort. Illustrate a poem. Read another book by your favorite author. Complete a character map for one of the characters in the book. Make a list of things that make you happy. 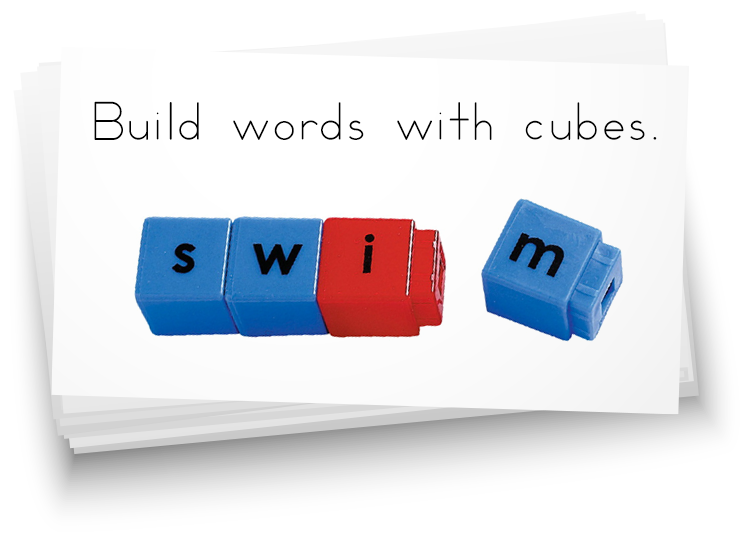 Build the new word wall words with magnetic letters. Read a poem for two voices with a buddy. Practice giving a book talk for the book you just read. Write a response to the book. Make a card. Make a list of all the CVCe words on the word wall. 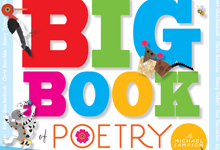 Find pairs of rhyming words in a poem. Stamina refers to the ability to stay focused on reading and writing activities for a set amount of time, independently or within a small group. Helping your children build this endurance is a critical component for a successful Independent Work Time. As children develop stamina, they have opportunities to gain confidence in their reading and writing skills which, in turn, can lead to growth in these areas. Building stamina takes planning, time, and reflection. Don’t expect that one demonstration of a reading or writing task at a station is enough for children to work independently for a given amount of time. You must put procedures and routines into place that, once practiced, give children the tools they need to work independently. Give attention to how you help your children grow their stamina at independent tasks. Encourage them, teach them strategies for sustaining their work, and send the message that you believe in their ability to persist. You are there to support them! Set realistic, attainable goals: Once you have determined the activities children will be engaging in, ask yourself the following questions: How long will my children work at each station? What is developmentally appropriate for their age? For the time of the year? For their skill level? Utilize the gradual release of responsibility: Clearly model the expectations for Independent Work Time and give your children plenty of guided practice. Keep it engaging: Providing choice keeps children engaged, giving them motivation to stay focused on their work. Choice can be offered in terms of materials, tasks, partnerships, or the sequence in which children visit the center. Use a “training” regimen: Work up to your goals based on the age and ability of your children. Start with short intervals of time. For example, in kindergarten, children might work at stations for five minutes for the first time. Gradually add time to get to your goal. Remember to be flexible and responsive to your children! Use motivation: As teachers, we often take on the role of coach! Think about what kinds of things will motivate your children to reach goals and work towards independence. Some teachers like to give pep talks to motivate their children. Get children excited and let them know you believe in them and that they can increase their attention during stations for a set amount of minutes. Another idea is to use anchor charts to track how children have built stamina over time. Finally, don’t forget to celebrate with your children when they successfully meet their stamina goals! Create signals & check-ins: If and when children get off task, have a system of gentle reminder signals to support their independence. Troubleshoot: Ask yourself what is going well and what needs extra attention. This will help you reflect on procedures or routines that are impacting children’s ability to sustain independent work. Maybe a step in the procedure isn’t clear. For example, if children are having difficulty selecting books to read, you might need to revisit your procedure and check in with children to support them. To ensure that your centers are effective and meeting your children’s instructional needs, you’ll have to allocate some time to assess children’s work in centers. The data that you collect from center assessments can be used in many ways. It can add to your knowledge about the child or about the center. It can also help you make adjustments to center tasks, to collaborative partnerships, and to procedures. Many centers will have tasks that you can collect and assess. 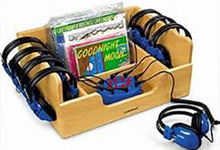 Literacy center “products,” such as reading responses and strategy sheets provide important information about your children’s thinking and understanding. As we strive to nurture independence, we want to include the children in assessing their own work during Independent Work Time. Give children time and opportunity to self-assess. Self-assessment enables children to reflect on their progress and set goals. You can help children assess their understanding by asking questions such as “What went well for you today? What was hard? How did you solve a problem that came up? What is one thing you want to get better at doing? One strategy that works well is suggesting very tangible language for the ELL child to use, such as One thing I did in this literacy station today was… One thing I didn’t get to do today was… Next time I work in this literacy station, I will… This begins the self-reflection process and helps children to set tangible learning goals for themselves instead of trying to meet external expectations. Rubrics are extremely helpful tools for teaching children to self-assess and self-reflect, especially if there is meaningful dialogue with the children around the specific criteria of measurement. Rubrics enable you and your children to share a clear understanding of performance expectations. Motivation is enhanced as children understand the criteria for the evaluation of their work. Children can reflect on and evaluate their own work and engagement with a clear understanding of standards. It is helpful to provide models to children showing examples of each level of the rubric. Children benefit from participating in the creation of a rubric for a class. I got started right away. and much much more and that is why I earned a 4. I got started soon after I got there. and that is why I earned a 3. It took me a while to get started. and that is why I earned a 2.
and that is why I earned a 1. Model what each number on the rubric might look like and practice scenarios that would receive different ratings. To encourage self-monitoring and reflection, lead children in rating their center work during share time. Gather the children in the whole group meeting area. Ask the children to hold up three fingers if they got started right away and worked the whole time. Hold up two fingers if they got to work soon after arriving at the center and worked most of the time. Hold up one finger if it took a while to get down to work and they didn’t get much work done. Some children may need support in reporting accurately because they do not want to disappoint their teacher or seem unproductive. 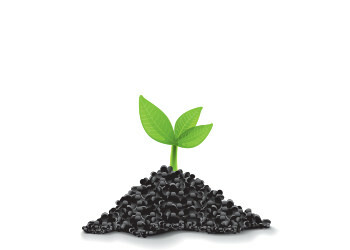 Therefore, it’s important to make sure you communicate your interest in supporting their growth. A one or a two becomes an opportunity to say to a child, “How can I help you get started more quickly?” or “How can I support you in completing a task?” If you honestly believe these self-assessments are opportunities to teach children how to build their stamina as independent learners, then your children will learn to be open with their responses. Children in the second semester of first grade and beyond can complete individual self-assessment rubrics. Make copies of the rubrics available to the children at the end of Independent Work Time. Give children time to complete the rubrics. Offer the opportunity for two to three children to share the rubrics with the class providing anecdotal evidence to support their assessments. It took me a while to get to work. I got started soon after I got to the station. I got started right away. I need to get more work done next time. I work most of the time. I worked the whole time. I had trouble solving problems. I needed help solving some problems. I found solutions to my problems. I must remember to clean up. I put some things away. I put everything away when I was done. I will model how to use this rubric during the upcoming week. I will use the strategies in my class. They are really good. I will translate to Spanish the rubrics and anchor charts.